Never Ends is an interactive installation whose principal actor is a horse on a spring. 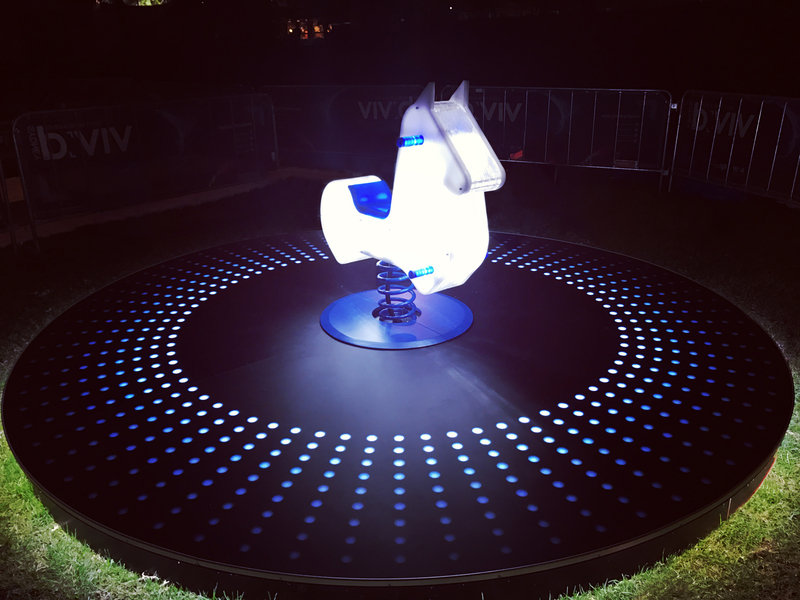 The installation is composed of a platform of about four meters in diameter at the centre of which is a single illuminated horse, standing alone, waiting for a rider. The horse is blue and white, similar to those found in playgrounds everywhere and is capable of supporting the weight of an adult. 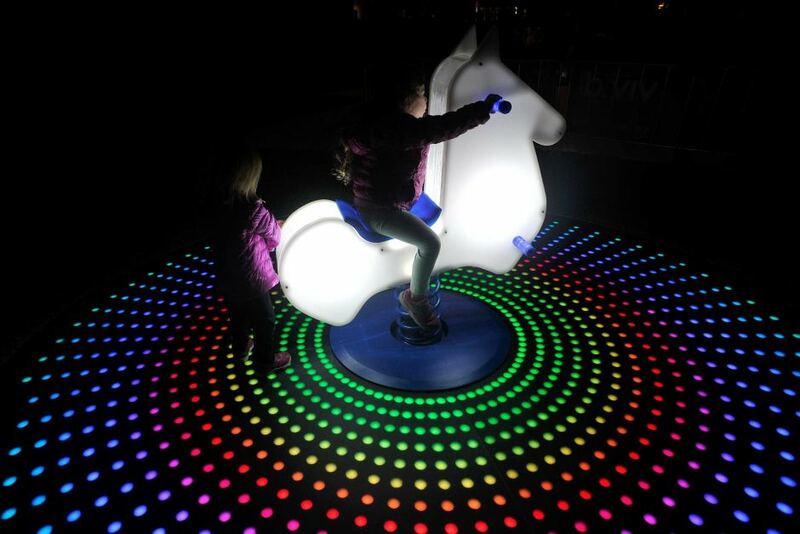 And when you start to ride it, something magical happens — everything changes and the lights on the platform spring into action, creating a fairy tale setting for horse and rider as they swing into the night. When the rider dismounts the lights go out and the horse stands and waits once more. This work invites us to rediscover the pleasure of play and the beauty of being a child; it taps into a sense of continuous discovery that never ends. Luigi Console studied Art direction at ILAS in Naples in 2007/2008 and then Visual Design at the Scuola Politecnica di Design in Milan in 2009/2010, even if he prefers refereeing to himself as a self-taught artist. Console matched work experience with creative studios and collaboration as a freelancer but, pushed by his curiosity, he explores the use of various media, from screen printing to creative coding, from analog media to digital media, targeting his research into the connection between the many visual communication techniques such as poster design and video mapping performance.